Here at the Trost Society, we can’t believe six months have already flown by, but we are so proud for how much the organization has grown and how much we have accomplished in such a short time. From our highly successful Last Thursday Tours to our series of Rebuilding Trost events and fundraisers, we have found a rhythm for the organization that allows us to expand our educational reach and advocacy while growing the organization’s capacity. From the firm’s start in 1903 to the firm’s close in the late 1940’s, Trost & Trost Architects would design and construct at least 650 buildings in Texas, New Mexico, Arizona, and Mexico. In 2013, some 100 years after the height of the firm’s peak, the Texas Trost Society formed to honor Trost & Trost’s architectural legacy and introduce a vision for the city’s future that would improve our community’s quality of life while attempting to save its historic buildings. Now that we have been in operation for five years, we have slowly rolled out a new name change and mission restructuring, one that reflects the regional impact of the Trost & Trost firm. 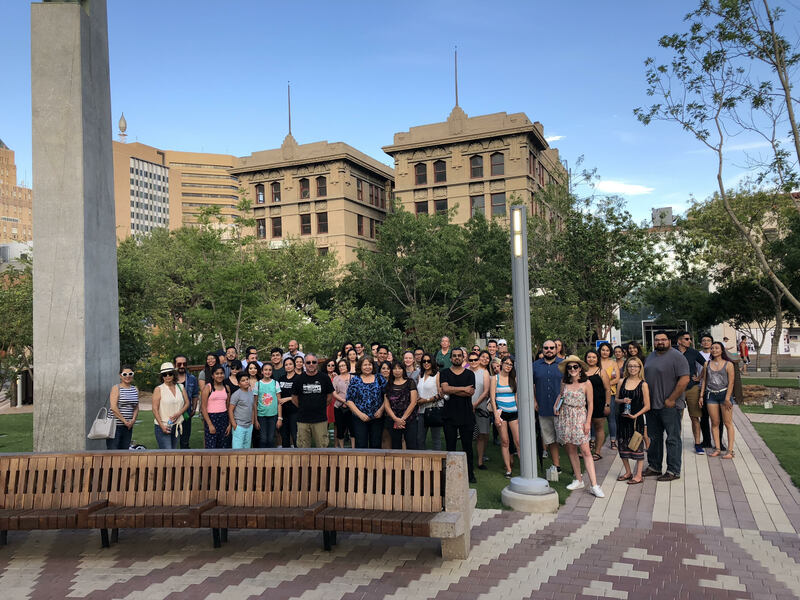 Since the Trost Society’s inception, we have reached about 350,000 people via exhibitions, tours, social media posts, workshops, and partnerships with other organizations in and around El Paso County. In 2018, we felt that we were ready to expand our programming to neighboring cities such as Marfa, Alpine, and Marathon in Brewster County, Texas, as well as Las Cruces and Albuquerque in New Mexico. Our goal for the end of this year will be to partner with historical societies in cities and towns where the firm left a lasting architectural legacy in Arizona, New Mexico, and Texas, allowing people to understand the connection between certain historic buildings from Phoenix all the way to Austin. For that reason, we have decided to change our name from the Texas Trost Society to, simply, the Trost Society, reflecting the firm’s profound impact on the architectural fabric of so many towns across the Southwest. On other fronts, volunteers at the Trost Society have been working hard to find exact addresses for all the remaining Trost & Trost buildings in order to create an interactive map that allows users to search by name, date built or location, giving everyone an easy visual guide to the firm’s reach. Board members Margaret Smith, Bernie Sargent, and Max Grossman are in the midst of planning our first ever train trip, titled “Traveling the Trost Trail,” which takes participants from El Paso to Tucson for an unforgettable weekend filled with history, great food, and plenty of tributes to Trost. In addition to planning and fundraising for our Trost in the Borderlands: Lifecycle of a Building educational workshop as well as our next Rebuilding Trost event, I have contacted owners of Trost & Trost hotels across the Southwest to establish a Trost Hotel Consortium with the hopes that travelers making their way across Texas, New Mexico, and Arizona will seek out the beautiful and often fascinating lodgings that the firm built.